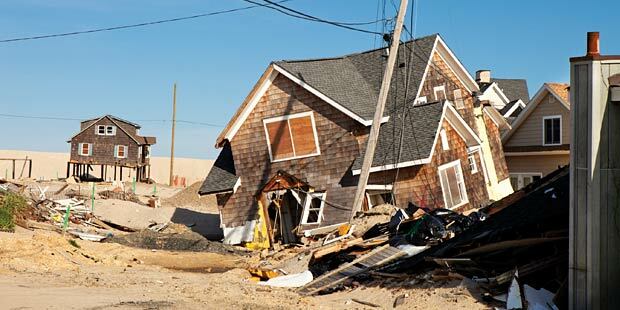 After hurricane sandy devastated significant areas of New York, New Jersey, and Connecticut in October 2012, many homeowners were unable to repair or sell and faced considerable hardship. Despite that predicament, the typical reaction of many New Yorkers was to rebuild. In a paper inspired by discussions with Professor Katrina Wyman, Nicholas Williams ’13 argues that as sea levels rise and weather disasters grow more frequent, policymakers should consider ways that coastal cities can encourage strategic retreat from low-lying shores in order to minimize future property losses. Williams zeroes in on transferable development rights (TDRs) as a means for municipalities to restrict development without falling prey to regulatory takings liability. TDR programs, which allow owners to separate the development potential of a land parcel from that land and transfer that potential to another nearby parcel, have been used in New York City to preserve historic buildings and areas without takings liability coming into force. Such a strategy has been little used in coastal areas, Williams says, perhaps due to resistance to accepting the reality of rising ocean levels and because a consensus on whether TDRs are vulnerable to takings liability claims has not yet been reached. To make TDRs work, Williams says, coastal cities will need to balance incentives creatively to entice owners and developers away from the shore, making flexibility and a clearly articulated public purpose key factors. And to help tip the takings liability question in favor of this strategy, Williams, now a second-year associate at Greenberg Traurig, argues that TDR programs should strive to establish as clearly as possible that the TDRs in question facilitate economically valuable use of land. Award Winner: “Coastal TDRs and Takings in a Changing Climate” by Nicholas Williams won the $2,500 first prize in the 2013 Smith-Babcock-Williams Writing Competition, sponsored by the American Planning Association’s Planning and Law Division. It was published in the Urban Lawyer, the journal of the American Bar Association’s Section of State and Local Government Law.